We continue our inside coverage of We Players’ “The Odyssey on Angel Island” with some stories from the backstage crew that’s responsible for bringing the Bay Area’s own Ithaca to life. Loe Matley, Bailey Smith, Hannah Gaff, Eileen Tull and Ruth Tringham – just part of the extraordinary production team for The Odyssey on Angel Island. Photo by Frieda de Lackner. Most of my backstage experiences have been in small black box theaters. I’d never bothered to count the acreage of the backstage area. 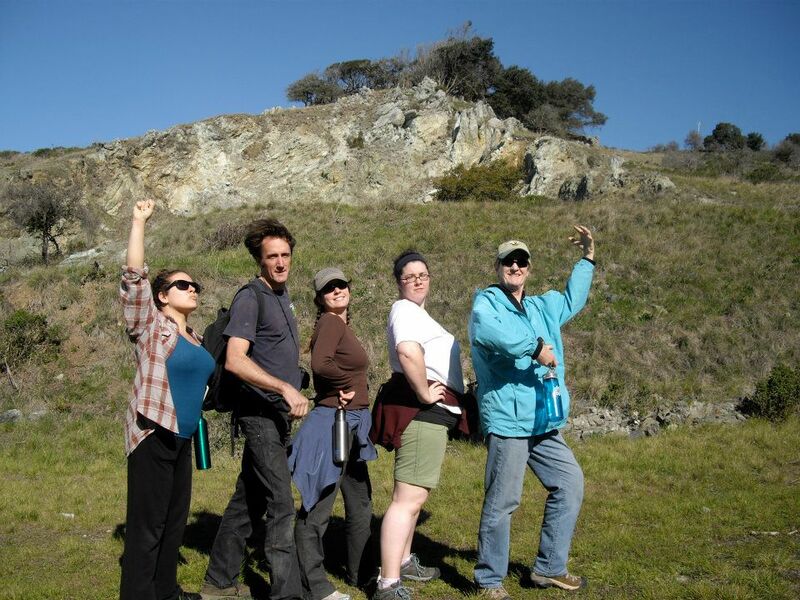 For The Odyssey on Angel Island, my black box theater is now a seven hundred and fifty acre stage. My stand by calls are moot, as I am typically yards ahead of each scene. I push the GO button to no avail and my only light instruments are the Heavenly Bodies. This show is a unique experience, in that we have been rehearsing as well as living together on the Island every weekend for the past few months. We have many rules in place: ten minute showers, no personal clutter, Island quiet hours start at ten, but the most important rule is open and creative collaboration. Many cans of gold paint were harmed in the making of this production. Photo by Eileen Tull. 10:15am – Lie in wait for my next cue, atop a secret path. This is when I usually play shoot bubble on my phone or call my mother. 12:45pm – Try to get to my hiding place. There’s a lizard. Try to poke it with a stick. It looks at me. I let it know that I have to get in my hiding place. It runs away. 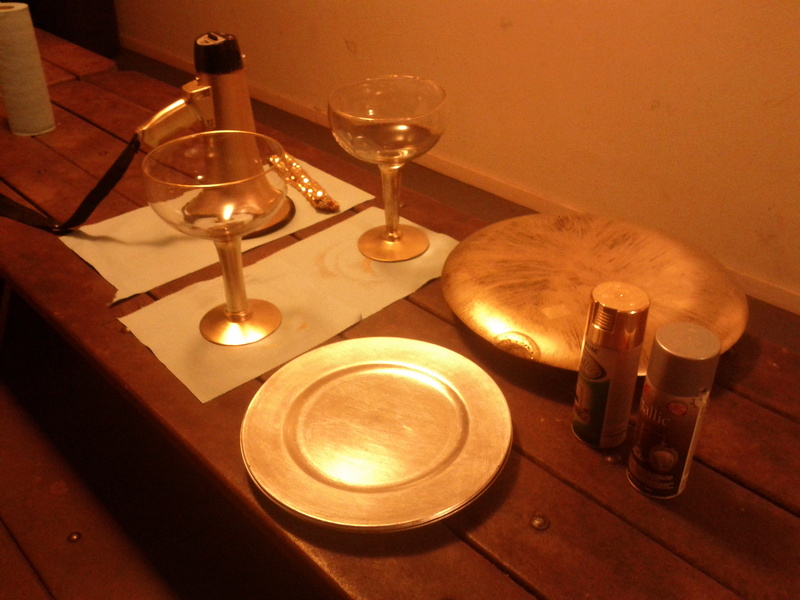 4:00pm – End of show, just about. Begin reset for next show. Begin drinking. 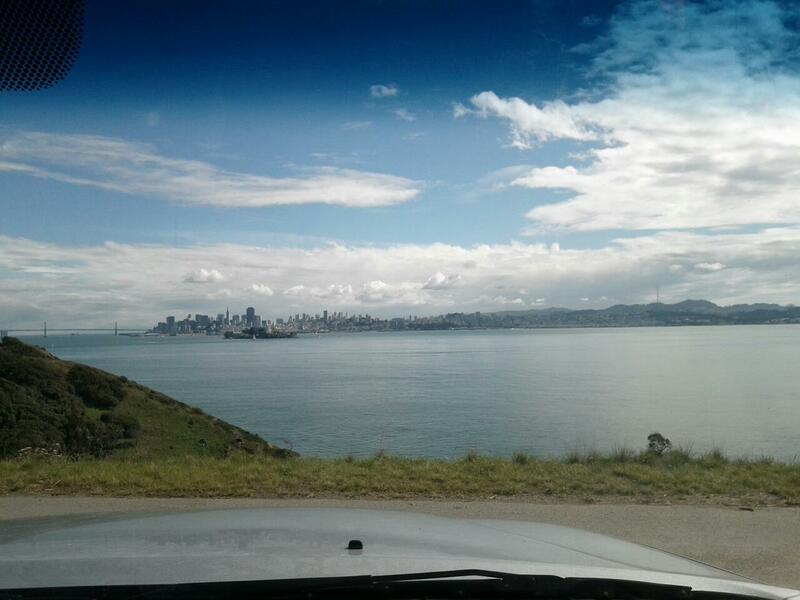 A shot from the driver’s seat of one of the We Players vehicles used to ferry actors, team and props around Angel Island. Photo by Eileen Tull.